In this release, Eduard has produced four nicely detailed AIM-7M Sparrow missiles right down to the photo-etched covers over the missile motors. 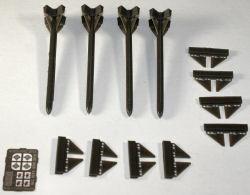 The set consists of four missile bodys with rear fins in place, four sets of forward fins, and a small fret of photo-etched details. 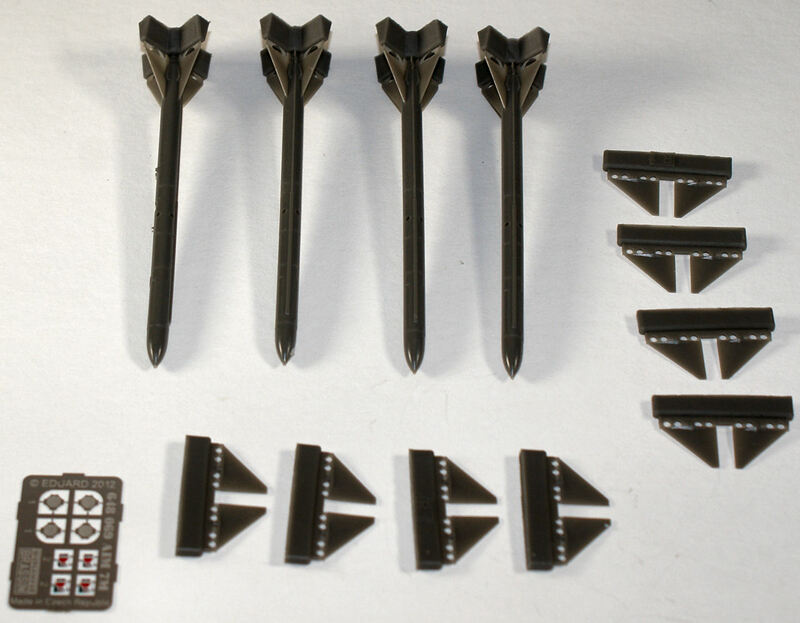 This set is ideal for late-service F-4 Phantom IIs, F-14 Tomcats, F-15 Eagles, and the F/A-18 Hornets. 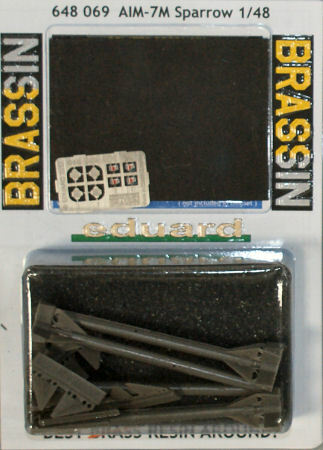 You should be able to find this detail set at your local hobby retailer or one of the many online hobby shops. Trust me, this is worthlooking for!